I just need a confirmation, As for the Articulate Review, after I fixed the course again and again, can the client always use the old same link I sent out earlier to review the most current version generated? I think so. But, just need a confirmation. You got it, Phoebe! 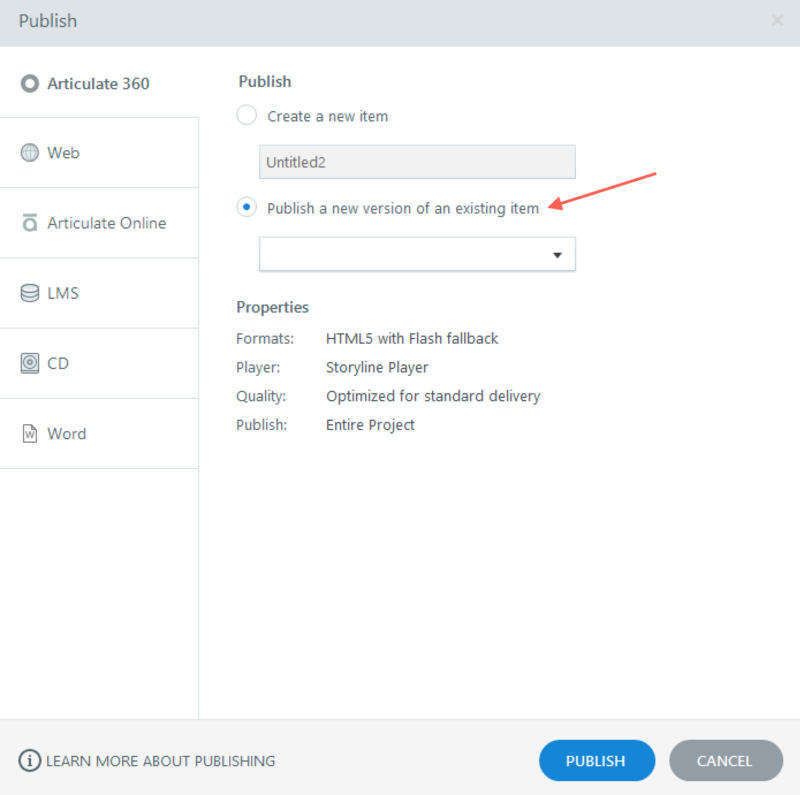 As long as you select Publish a new version of an existing item, the URL will not change. Yeah, it is exactly what I did! :-) Thank you very much Alyssa. This is great. Do the original comments remain after you publish a new version of an existing item? Thanks! Great question, Jill! The original comments remain with the corresponding version. In other words, when you publish a new version of a project, you will not see the comments unless you select the older version from the dropdown menu in Review. How do I rearrange the panels in Review?